The canes with swollen internodes at the base look a little like green onions! 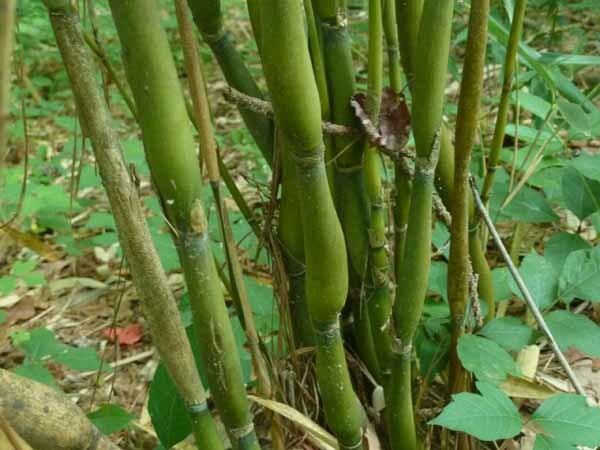 This is a variety of Arrow Bamboo but doesn’t get quite as tall. It makes a nice display plant and a good screen. This is also an ideal plant for containers.